A psychologist by the name of Arthur Aron did a study that explored “whether intimacy between two strangers can be accelerated by having them ask each other a specific series of personal questions.”* In total he came up with 36 questions, divided into 3 sets that get increasingly probing. Going through the questions I could see how greater intimacy and understanding could be achieved because some of those questions…man, they went IN. The answers and information you would glean from someone answering these questions over dinner would be the kind you would find after trust had been earned and cultivated within the first 3 – 9 months of a budding relationship. I thought it would be fun to go through the questions myself. Now I can’t promise that I will post every answer to all 36 questions up on this here blog (in chronological order, either) – let’s maintain some sort of mystery, folks. However, I will pick out the ones that I believe would provide some insight into me and hope you will reciprocate in the comments with your own answers. Win-win. 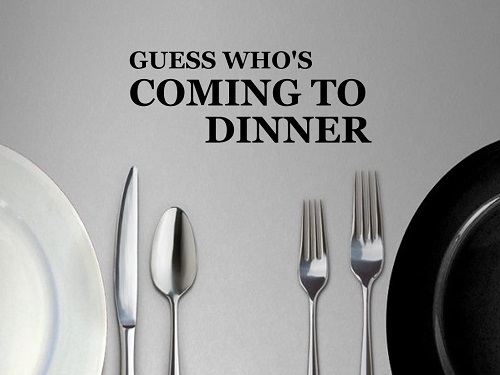 Question 1: Given a choice of anyone in the world, whom would you want as a dinner guest? Why? My assumption to this here question is that the person should of the living variety, which shrinks my selection pool a smidgen. Mmmmmmh. Okay this is a tough one, I’m glad I’m not sitting across from anyone right this minute or I would be squinting my eyes and wrinkling my nose trying to come up with an answer to this. Urggh. Picking just one person is ridiculous…but okay, I think I’ve got something. I would pick Jimmy Fallon. Listen, dinner is the kind of event that can be long and tedious, or the kind of occasion that is merely a precursor to more exciting events (PG rated one’s, folks *ahem*).. I selected bhudhi Jimson because after watching many (read; MANY) episodes of The Tonight Show with Jimmy Fallon I believe he’d be the kind of person to regale me with awesome stories and not frown upon my penchant to break out into impromptu bouts of song – actually, he would encourage and lead such shenanigans. As the resident extrovert and expert middle child in my various group of friends, I am usually the one who helps to carry most conversations. So having Jimmy as dinner guest would offer me with some reprieve from being “the entertainer” and provide me with an evening full of belly laughs. • Shonda Rhimes: Dinner would be spent trying to persuade her to adopt me and also getting Scandal spoilers…after a few rounds of gin. • Angela Ahrendts: I would want the secret to her quiet but effective leadership style and also have her hook me up with shopping discounts at Burberry & Apple, lol. • Luvvie Ajayi: We would be that table in the corner that keeps bursting out in raucous laughter and getting side-eyes from all other diners. • Taylor Swift: Tay-Tay and I would shut the restaurant down discussing life, love and the challenges of being long legged gazelles in a world that caters to short people. Who would you want as your dinner guest and why? 1. Henry VIII – I have a love for the Tudors and their history from when I was in high school and thus this man, who so many a movie and televison drama has been written about him, I’d love to know more about him, how he was so besotted by a Boleyn so much so he changed the course of the church and history. Also if at a dinner party he’d straight out win Cards Against Humanity and with him it wasn’t just a card game sooo imagine the gasps and lack of PC! 2. Nelson Mandela because Tata. 3. Oprah Winfrey – for her to just give me some sage wisdom and I’d also pitch a show to be shown on OWN network. 4. Ariana Huffington – the woman behind Huffington Post – of course I want her there so we can talk about digital media and chop it all up and get some business tips. 5. Drake – charming, intelligent, funny, and he’s an entertainer…no dinner party is complete without some entertainment. Henry VIII??? Really?! Girl, in my mind he’s the kind of dinner guest who wouldn’t think twice about enacting a decapitation at the dinner table because the wine wasn’t to his liking, lol. I understand Oprah and Nelson Mandela. Oooooh Arianna is a good one. Actually I may need to steal her to add to my list. Previous PostSocial Media: A good witch or a bad witch?